Complete Trekking Guide for Beginners. I’m not an experienced regular trekker. Actually, I’m the sort of walker who prefers a short walk around the park or after work just roam here and there near the bars or pubs. However, now and again, I have been induced to wander out for somewhat longer – all for the sake of a good time with Mother Nature and to explore some less crowded places. 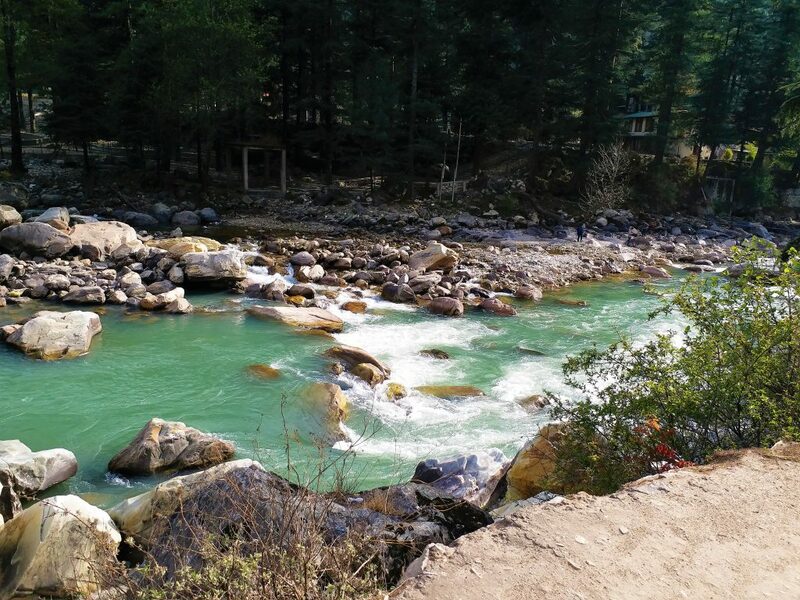 So I have started researching on complete trekking guide for beginner but I had not found the complete details in a single entry. I had to research from different resources and different journals. I am not a daring person but from time to time I like to challenge myself, step outside my comfort zone and do something I have never done before. Like take a solo trip to an unknown place I have never been to before. 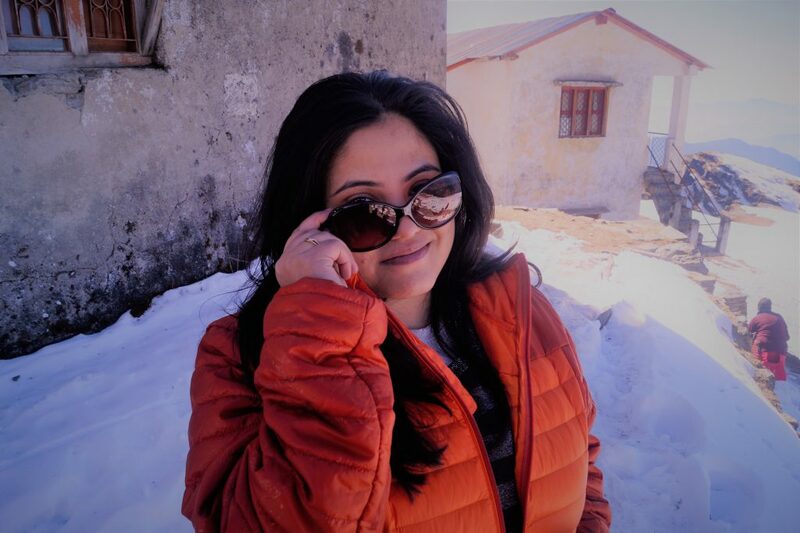 Since childhood I dreamt of ending my year in the bone-chilling weather while doing a proper winter trek and I can’t be more happier when I admit: I have lived my last dream of 2017 at Deoriatal and Tungnath and did my first winter trek to these places . 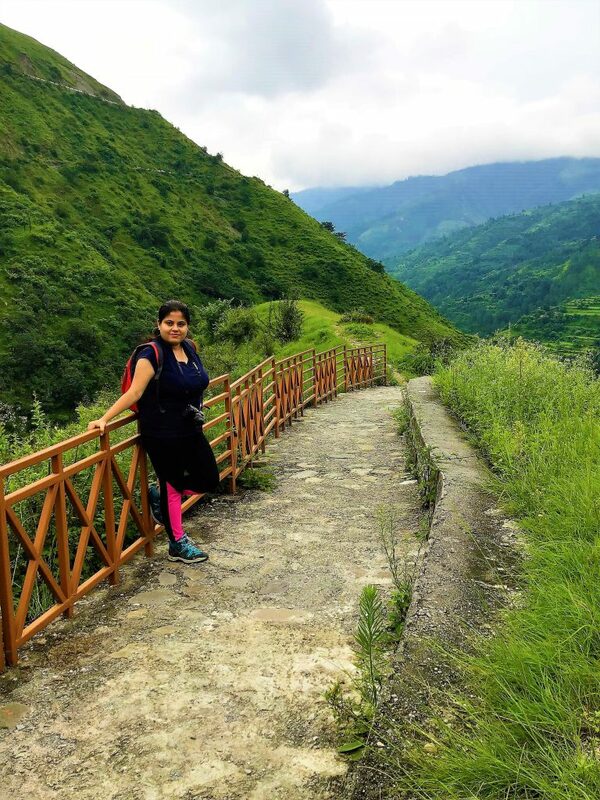 I have done 2-3 really good trek as a beginner with just like a corporate employee kind-off fitness (I am not kidding) that lasted for 4-5 days in the Himachal and Uttarakhand region and I wanted to prepare a short guide ( To DO ) list for everyone who is doing their first trek. This is my beginners’ trekking guide that I wish I could have read before my first trek. 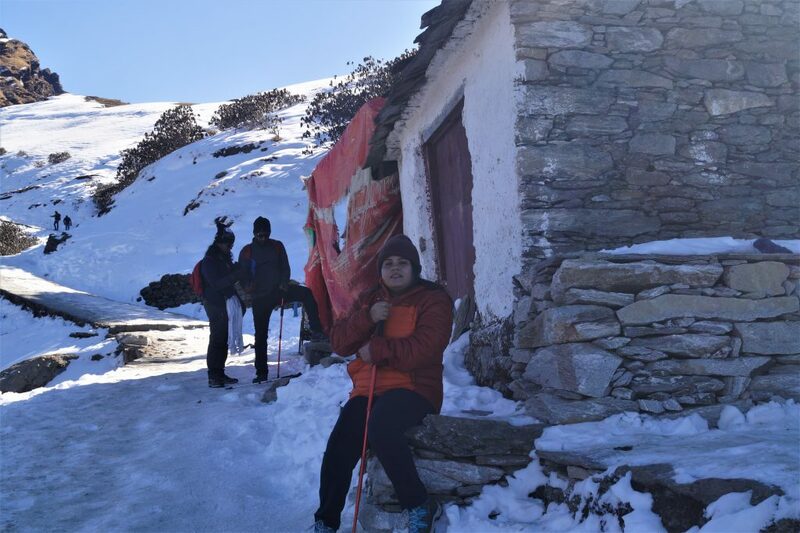 Being on your first trek infers that you are unaware about how your body will behave at high altitude area especially where oxygen level is bit low with ascending and descending walking alley. 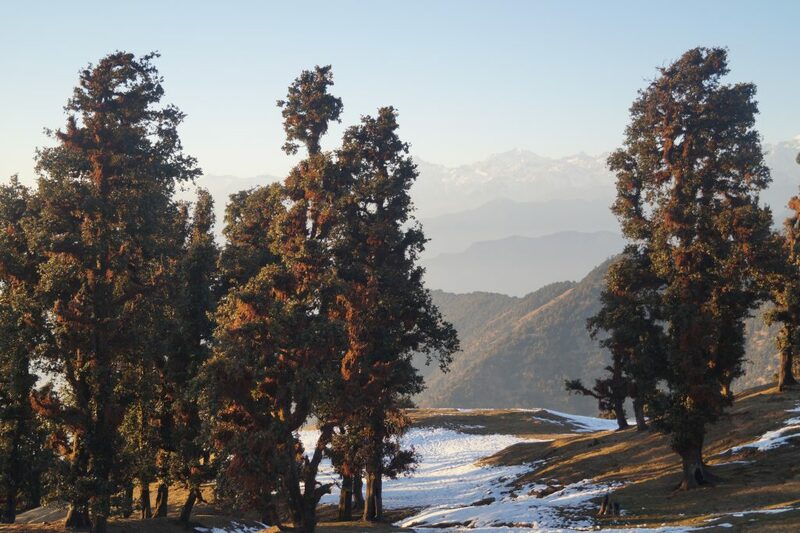 Choose a trek where the ascent is gradually increases a bit and walking hour is not much long. 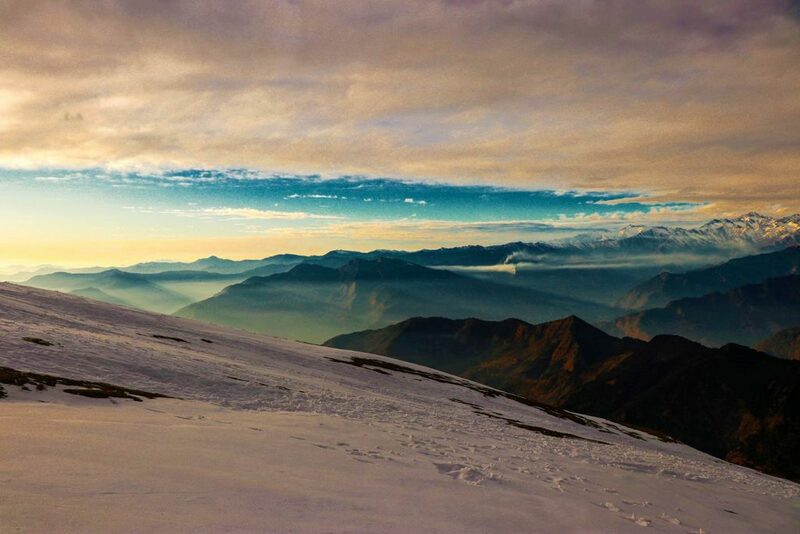 A trek which takes you to a maximum altitude of 14000 to 16, 000 feet should be ok for you as a first timer. The trail you choose should not engage walking more than 7-8 km a day. If possible, hike with a friend or in a group with more experience. Not only it will be safer and more fun, you can share in others’ information and skills. As a beginner it would be very tough to do a solo trek without a bunch of people. 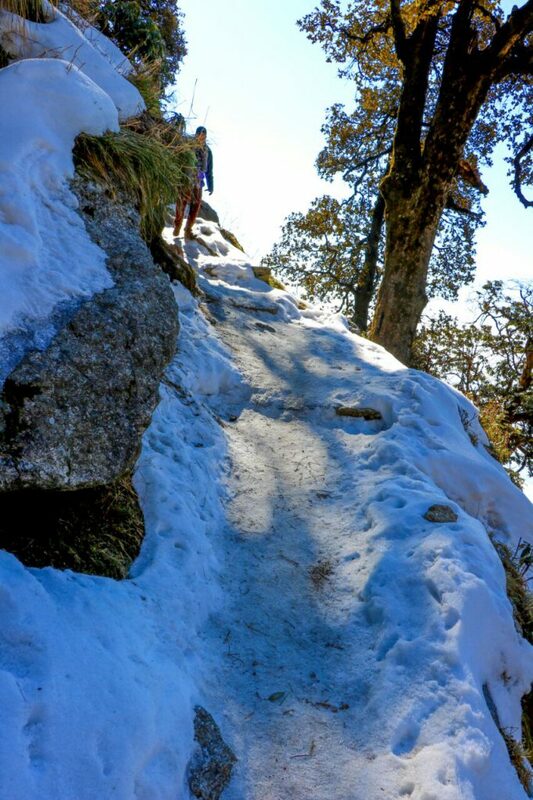 Weather conditions have a major demeanor for trekking plans. Rain, snow and mud can transform easy trails into perfidious ordeals, while intense heat is challenging, dehydrating, and can cause heatstroke. Check forecasts and prepare accordingly as per your plan. On the track, keep an eye on the weather condition, especially in the mountains where conditions can change rapidly. As soon as you finalize your trek, start walking and try to start some light exercises. 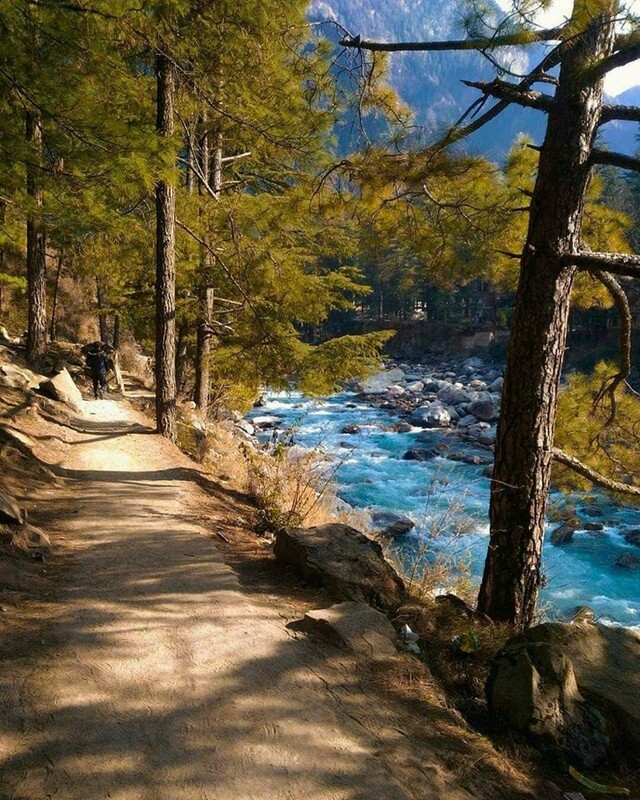 The fitter you are, the more you will enjoy your trek but the most important you need to walk for long hours. Try to avoid lifts in work place and use stairs. 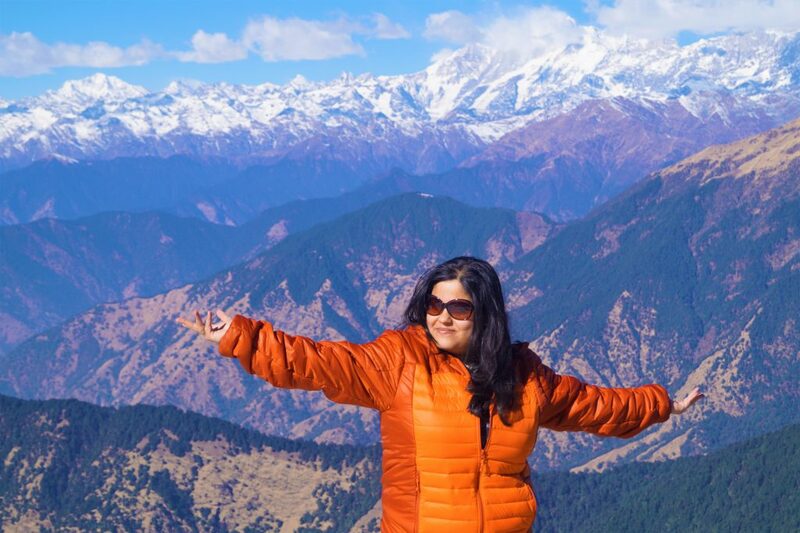 Don’t stress too much or don’t you have to do rigorous exercise for trek. If you have any medical problem then please consult doctor before planning a trip. Buy a pair of sturdy, lightweight, well-fitting trekking shoes that provide ankle support. Walk your new shoes in at least four weeks before your trek starts to prevent blisters. Take foods especially energy bars, Maggie, glucose biscuits, juice, chocolates which can give you instant energy at mountains. You will not get much cash counter at remote areas. So better fill your pocket with cash. Don’t compete with others who achieve the trek within shorter time span. Don’t let this control you to walk longer or faster than your capabilities. It is supposed to be fun! Enjoy the route on your own and complete the task at your own pace and speed with comfort. To get the perfect balance or to maintain a perfect walking stamina it is very important to use trek pole while trekking or hiking. Food is your fuel, and make sure you need to eat well on the trail. Always take more than you need, especially if there’s any possibility your trip will take longer than planned. Eat glucose which gives you power energy instantly. For overnight trips, pack foods that are high energy, wholesome, compact, contains sugar, indestructible, and easy to cook. Dark chocolate can also work for morale when the going gets tough. Stay hydrated. Water is the key to prevent acute mountain sickness. Use the bottles which can refill easily. SUN PROTECTION is very important, even more so if you are trekking at altitude. Always pack a hat or bandana, sunglass and sun block cream. Take baby steps instead of long and big steps which help you to breathe normal and control your heart beats. Take a 10 to 15 minute break at least every hour. This quick break helps get rid of the metabolic waste that build up in your legs while hiking. The most important part is take breathe fully and fill your lungs with pure oxygen. Don’t leave your trash while trekking, PACK IT IN, PACK IT OUT! Carry a plastic bag to carry all of your junk with you, bring all your garbage with you back to the plains and dispose them at the correct places. Also, if you find any wrapper, plastic or anything that should not be there, pick it up and bring it back to the plains for proper disposal. Show gratitude and humbleness to the local and respect the environment by talking quietly and don’t play loud music. Don’t feed wild animals with food particles which disrupts their natural foraging habits. Make sure you wear layered clothing on treks. Pick outfits that are lightweight and extremely comfortable at day time and don’t put too much layer as while walking you feel sweaty and tiring. But at night the weather condition van be extreme so be prepare with proper jackets and warm coats. It is very understandable that you would not get comfortable beds always or not sleep under the sky always. Trekking does not mean comfort or extreme too much but at some places you can easily get proper tent with sleeping bags or rest houses. So before journey research or interact with local for basic facilities as it is not good to show daring attitude at mountains. Comeback with memories and cherish your first trekking experience. It is always a great experience to stay and roam around the remote hilly areas and witness the surreal beauty of the nature. Wow! 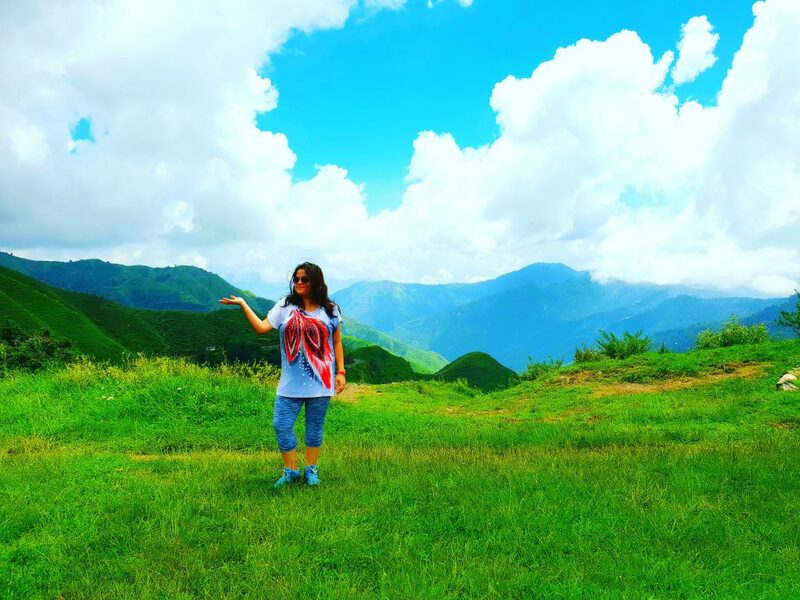 That’s a wonderful guide to trekking for the first timers, Pamela. Quite resourceful. Thanks Pamela for enlightening us with ur information and experience.Its really a wonderful guide for the beginners.Keep up the good work . That’s such an amazing guide and coming from your personal experience makes its something people should definitely read through before their first trek. Thanks Pamela for enlightening us with ur information and experience.Its really a wonderful guide for the beginners.Keep up the good work .God Bless. Great writeup and all the important points included in the guide. It will be of great help for the beginners. Beautiful narrative and awesome shots ! Once upon a time, I was a starter too in the world of trekking. And I felt the same things that you have so nicely jotted down. Being an avid trekker, I must say that the first point is absolutely correct. 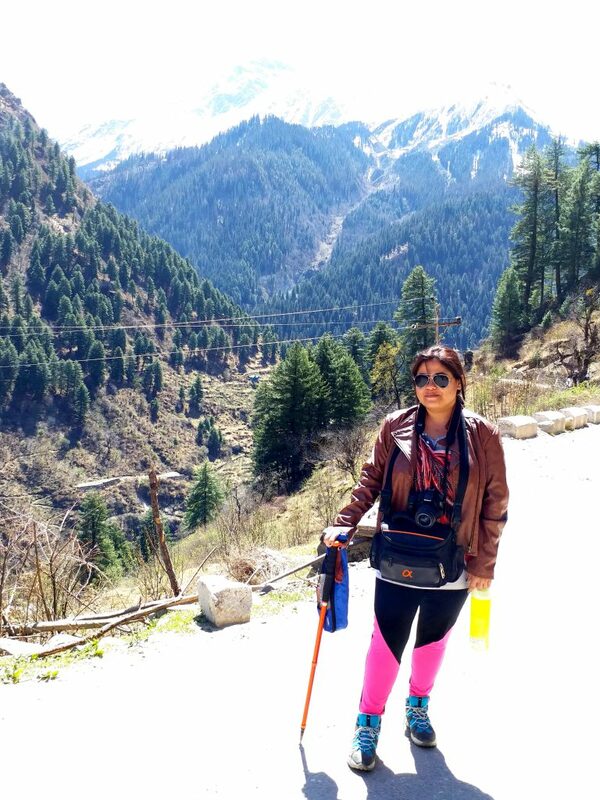 I have seen a few going to Rupin Pass for their first trek and struggling so much. I am not discouraging, but it is important to do a small trek first and understand your body, how it will cope with the high altitudes. Anyways, kudos for writing the post. I am sure it will help a lot who are planning for their first trek. It’s a wonderful read for the beginners… Congratulations Pamela!! I have never done trekking. After reading your post I feel like going for treck now. great tips! Looks like you like to hike when there’s snow! better than the heat of summer! 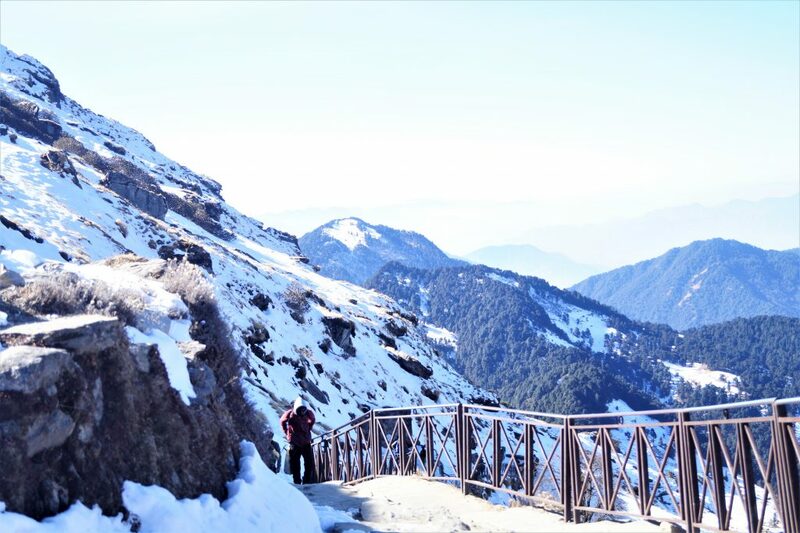 You have captured every aspect of the Trek and specifics of preparation one need to do before planning for a trek. Looking forward to upcoming blogs. Just what a first timer would need. Very well written. Thank you for putting this out there and so simply. Loved the pictures. Absolutely incredible information. Loved the way you covered each and every details.